Later the name of Karangasem in the tourism sector began to be taken into account along with a number of breakthrough pursued by local governments such as the cruise ship port development plan in the district which lies on the eastern tip of Bali. However true this district to own a number of very interesting tourist attraction is not lost even with a tourist attraction in other districts in Bali. 1. Taman Ujung : Park End was founded in 1919 by the last King of Karangasem, located in the village Tumbu, who was used as a place perisitirahatan King of Karangasem. Because of its beauty Taman Ujung referred to as “Water Palace”. Park Edge Construction architecture has similarities with Water Park Tirtagangga and Puri Agung Karangasem. 2. Candi Dasa : Candidasa is a major destination of the tourists who come to the Karangasem, lies in the region Bugbug, Karangasem district. Candidasa as a replica of the famous Kuta beach because of the same – each has a white sand. Highly suitable for water sports like swimming, diving and snorkeling. 3. Tulamben : Tulamben is very famous in Bali as a place for diving activities and snoerkeling. Here we can meet U.S. Liberty Ship that sank the time World War II. Coral sea there are many different types of tropical fish populations are very beautiful. Because the beauty of Tulamben launtnya dujuluki as sorganya for lovers of diving and snorkeling. Tulamben is located in Kubu district 21 km north of Karangasem. 4. Besakih : Besakih located in District Rendang. Besakih enjoys panoramic views with a backdrop of Mount Agung that has a height of 3142 meters. On the slopes of Mount Agung is situated sebuag Pura Besakih the name of the Nela as the largest temple in Bali as a temput sacred to Hindus. Located in the Village Pesaban Rendang district, 8 km north of Klungkung (Semarapura). Crested the hill known as a place for tourists because perbehentian natural beauty of the very nature of them in the form of rice terraces. 6. Telaga Waja : Telaga Waja is a river in the village of Rendang which is suitable for rafting activities. Telaga Waja has a very clean water and some rocks and boulders along the river flow. 7. Iseh : Iseh is a natural tourist attraction located in the village of Sidemen. Beautiful panorama with very cool air located at the bottom of the slopes of Mount Agung with beautiful rice field terraces. When you visit Iseh do not forget to see the process of making cloth and Songket endek who use the traditional way and is very popular in Bali. Iseh located in the village of Sidemen. 8.Jemeluk : Jemeluk Purwakerti located in the village, Abang District. Very beautiful panorama located between sea and hills. Jemeluk also very suitable for diving and snorkeling because of the beauty of the underwater world is very beautiful. After mjengunjungi this place you can continue your trip to Tulamben and The Edge Park through a Bunutan – Seraya – Edge – Amlapura. 9. 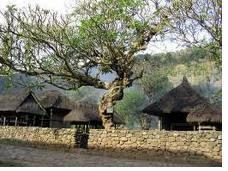 Tirtagangga : Located in the village of Abang, Abang District just 6 km north of Amlapura. Tirtagangga founded in 1948 by King of Karangasem last used as a resting place of the royal family. 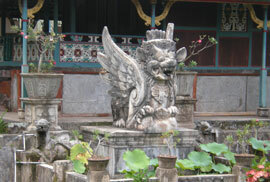 Its architecture is a guide between the European, Chinese and traditional Balinese architecture. Surrounded by very beautiful panorama makes Tirtagangga is a very important purpose for the visit. 10. 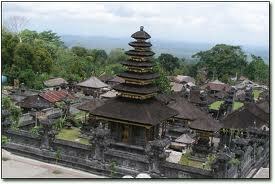 Puri Agung Karangasem: Amlapura is the capital city of Karangasem Kabuapten, located 78 km east of Denpasar. Since the kingdom of Karangasem established Amlapura is the center of the kingdom. Tourist attraction that is located in Puri Agung Amlapura is an architect with a blend of Bali, China and Europe. The castle was founded by Anak Agung Gede Jelantik, the first king of Karangasem. Inside the palace we will find a collection of photographs from the family of the kings and the king of costumes worn at the time. 11. Sibetan : Sibetan village is famous for its fruits, very delicious fruit scaly. Sibetan Village also presents a very beautiful panorama with the nature of natural and with views of blue sea. The village is located in District Bebandem about 5 km from Putung. 12. Putung: One of the most attractive sights is Putung located in the village of East Duda, District Strait. Its location is a mix between valleys and mountains with a very beautiful landscape. Putung has a wonderful climate for relaxation. 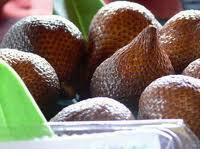 Here you can also find fruit Salak. 13. Tenganan Pegringsingan : Asli Bali Village Tenganan is known as the Bali Age. Located about 5 km north of Candidasa. Tenganan very famous for its cultural and traditional customs of Bali. Religious rituals by which they set their own calendar and is different from most other Balinese society. Tenganan Village presents a very beautiful panorama with the backdrop of the hill is very beautiful. This village is also the only place where people will find fabric called Ikat Gringsing the process pewarnaanya using traditional colors. 14. Yeh Malet : Yeh Malet Antiga is located in the village of Manggis District, 33 km west of Amlapura. Yeh Malet merupak a very interesting place to visit with a panoramic view of Mount Agung and the beach. This beach is perfect for swimming, fishing and Sunset View. Yeh Malet is also famous for traditional salt pembutan process. 15. Padang Bai : adangbai merupak dock for ships and a place of crossing from Bali to Lombok. Located in the village of Manggis Padangbai District. Padangbai also very suitable to perform activities of swimming, diving and snorkeling. 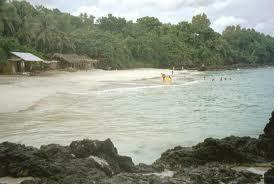 Padangbai very famous for its white sand beach with tropical fish are very interesting. Routes: Kerthagosa – Klungkung Justice Hall, Lawa Cave or Bat Cave Temple, Tenganan Village – the old village of Hinduism, lunch at Candidasa, the Royal Pool of Tirtagangga at Karangasem. Cancellation made after payments are subject to penalty fees. If cancellation of 12 hours of tour departure 25% of tour prices is charged. If cancellation is made Within 12 hours of tour departure 50% of tour prices is charged.